I had a great time talking with my pal, Kenneth Brazzell from Your Legacy in Business, about money mindset. 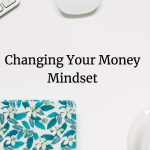 For many of us, it’s not too often that we get to discuss money from this emotional side and learn how our money mindsets actually develop. So many of us kind of just float through life confused about why we experience certain things in our lives and not understanding how to go about changing those things. The biggest thing I hope you takeaway from this conversation is how easy it is to trip and fall into the “valleys of struggle”. When you don’t know what you don’t know, you’re bound to be surprised by things you’re not sure how to navigate. 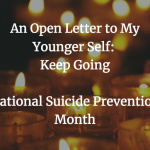 Especially when we don’t have the support or understanding we need to get out of those challenging places, it’s not surprising that so many people find themselves trapped there for extended periods of time. My prayer for you all is that you can stay encouraged wherever you are on your financial journeys. I’d love to hear your thoughts and answer your questions about the episode. Feel free to leave comments down below! What was your biggest takeaway?